Driveroo allows you to monitor, inspect and protect both your fleet and drivers at all times! Driveroo is the only car inspection & maintenance app that combines a cloud-based Artificial Intelligence (AI) engine with the first Mobile On-Demand service instantly connecting Consumers with local certified Technicians. Driveroo technicians perform tailored inspections specifically for your vehicle, and you get an estimate of any necessary repair costs. In addition, with every Driveroo On-Demand service, Driveroo updates your car’s online Driveroo Journal, effortlessly tracking all maintenance history. Buying a vehicle? Need an inspection, but don’t know where to start? Inspection has removed all the guessing by standardizing the inspection process using AI and the latest available data, so nothing is missed. You get a thorough and reliable service covering mechanical, body, frame, and interior components without conflicting results from different technicians. No more lemons! Oil service is the most important preventive maintenance you can do to keep your vehicle in tip top shape. Over time, engine oil breaks down and collects dirt, reducing its effectiveness in keeping the engine cool and running smoothly. If your engine loses enough oil or if the oil becomes excessively dirty, the parts in your engine can suffer serious damage, resulting in extensive and expensive repairs. Every Driveroo oil change comes with a comprehensive AI-driven vehicle inspection to help keep you on the road safely. Seller Self Inspection can guide even the first-time seller through a vehicle inspection. Using AI, our step-by-step instructions are easy to follow, giving your buyers the most comprehensive report of your vehicle’s condition and justification of price. Use the FREE Seller Self Inspection to sell with confidence. If you suspect something is wrong with your vehicle tires: don't wait. If your Tire Pressure Monitoring System (TPMS) light is on, your tire is looking flat, you've hit something on the road, or something just doesn't feel right, bring it in to avoid additional and more costly damage. The solutions may range from a simple patch, a TPMS sensor reset, or a new tire. Driveroo will help take care of your vehicle tire repairs. A/C not working? Warm weather right around the corner? When so many things can go wrong with a system, a thorough evaluation will provide the insights you need to get it up and running again. A/C System Evaluation includes an in-depth assessment of your air conditioner’s components complete with recommendations to fix them. All A/C repair and services are handled by technicians that have completed EPA-approved training. Trust Driveroo to evaluate your air conditioning system and provide a best in class solution to keep you cool. Need a smog check? Not sure where to go, or don’t have time to wait? Driveroo will find you the closest available smog test center. Get in and out quickly, and get on with your day. Rotating tires may sound absurd, but tire rotations at your vehicle’s suggested intervals allow the tires to wear more evenly. Tire rotation maintains better tread depth and traction, helping your tires hug the road better, especially in bad weather, and keeping you driving longer. Driveroo technicians follow tire and vehicle manufacturer recommendations, extending the life of your tires. Did you just get new tires? Is your steering wheel off center? Does your car pull to the left or right when you are trying to go straight? Sometimes it’s not even noticeable, and just regular driving can impact alignment. Get regular alignment check-ups to extend the life of your tires, handle the road like a pro, and get optimal performance that your vehicle is built for. Streaky windshield obscuring your view? Wiper blades should be changed once a year. Get a wiper blade inspection that includes everything from the blade to the fluid. Don’t get stranded with a bad battery. Is the battery over 5 years old? Does it crank slowly? Batteries have a tendency to fail during extreme temperature conditions. Get a battery inspection for $0.99. At this price you can’t afford not to. Your safety is a priority. This includes stopping your vehicle in the case of an emergency. Let Driveroo give you peace of mind with a Brake inspection. During the brake inspection, we will check every part of the brake system: the master cylinder, the pads, and everything in between. Is your check engine light on? The light is a basic indicator that can range from something as simple as an open gas cap to a serious engine failure. Know what’s going on before it’s too late. Get a Driveroo “Check Light“ code read. Additional diagnostics may be required to uncover the root cause. Driveroo is a Mobile-first experience delivered via the Cloud. Driveroo is Smart with proprietary Artificial Intelligence (AI). Driveroo AI learns with every service and predicts a problem before it arises. No way? Way! Driveroo is Easy to use, the inspections are guided, specific to your car. Driveroo is 100% Digital, no need for paper. Driveroo Translates data into actionable results. The scoring engine understands the unique parameters of your car and makes it easy to understand condition and costs of repairs. Driveroo is Turbo-Charged with rich graphical data input interfaces (that’s geek talk for pictures) allowing for faster and more precise services. Driveroo provides a free Journal timeline for all cars. It’s like a Facebook for your car. Driveroo Collects and Pays, Driveroo payments are processed by the latest PCI compliant payment processing and payment security technology. Driveroo Protects your private, personal information. Driveroo Integrates into your business. APIs are available. I found a car that I loved, could actually afford, but didn’t know which questions to ask to make sure it was a good deal. I had a Driveroo Pre-Purchase Inspection done while out for a test drive and used the report to negotiate an even better price. Now I know that I got a great deal and what to expect down the road! At my company, our mission is to continue to provide the absolute best in remembrance services. To do so, it’s critical that we maintain a quality fleet, prior to Driveroo we could only be reactive, now we have the transparency required to maintain our Fleets in their best possible condition. 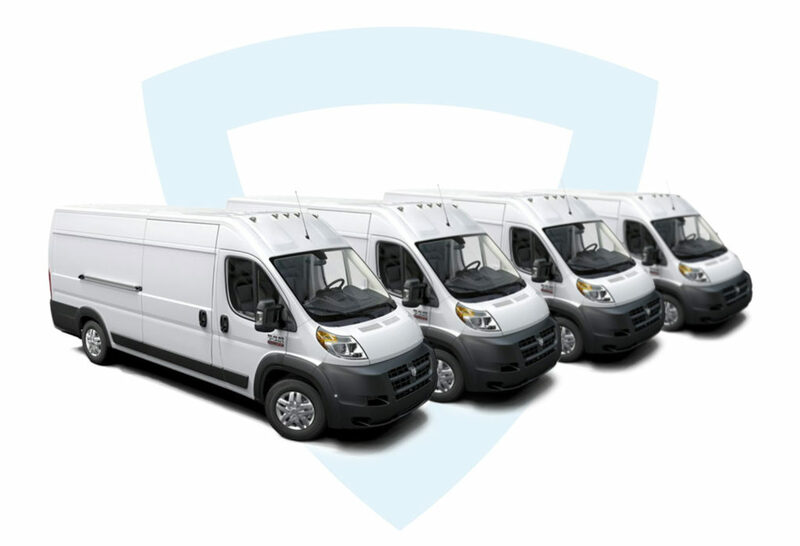 Every time my business grew the overhead of maintaining my fleet went up exponentially. I would not have been able to double my business this year without implementing Driveroo Fleet.